Irish language advocates have come together to call for legislation to protect the language at a major event in Stormont. 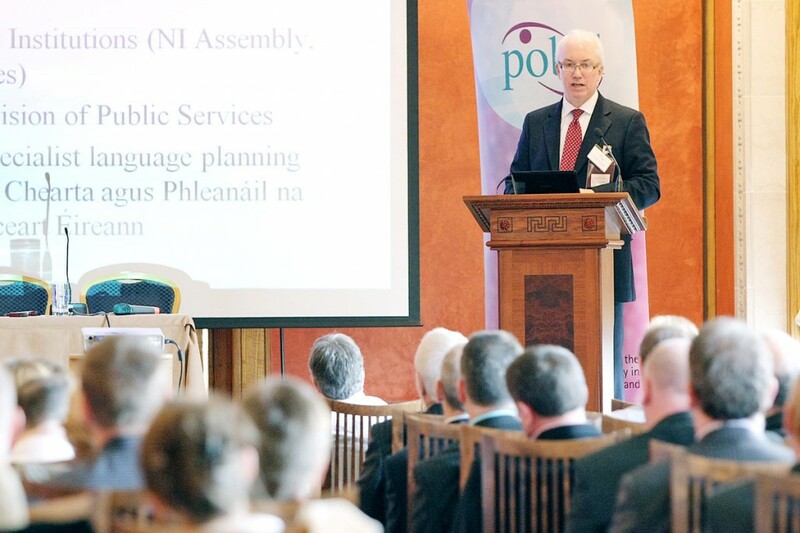 A range of social, cultural and political representatives gathered in the building’s Long Gallery last Wednesday (November 16) to call on an Irish language act to be created by the Executive. Members of Irish language association POBAL were joined by Culture Minister Carál Ní Chuilín and Ulster Unionist MLA Basil McCrea at the event, as well as international language experts Professor Robert Dunbar of the University of Aberdeen and Professor Colin Williams from the University of Cardiff. POBAL chief executive Janet Muller said she was delighted by the wide interest shown in the gathering. “Clearly this was the right time to bring Irish speakers, international experts and civil society together to look at how the matter of language legislation has progressed on these islands since the St Andrew’s Agreement. “We also wrote to Taoiseach Enda Kenny calling for him to reconsider the closing of the office of the language commissioner in the south. Minister Ní Chuilín said she was keen to see Irish protected in legislation, similar to the status Scots Gaelic and Welsh currently enjoy. “I have directed my officials to begin work to develop a draft Irish Language bill which would lead to an act,” she said.